If you are looking for a natural, custom prosthetic system, then a Custom silicone hand or finger prosthesis is your best option. Whether you are shaking hands or giving a presentation, you'll feel comfortable and confident with your prosthesis. Tailored to your specific shape and skin color, this low profile option can be customized to include your freckles, veins, and even hair—making it as realistic as possible. 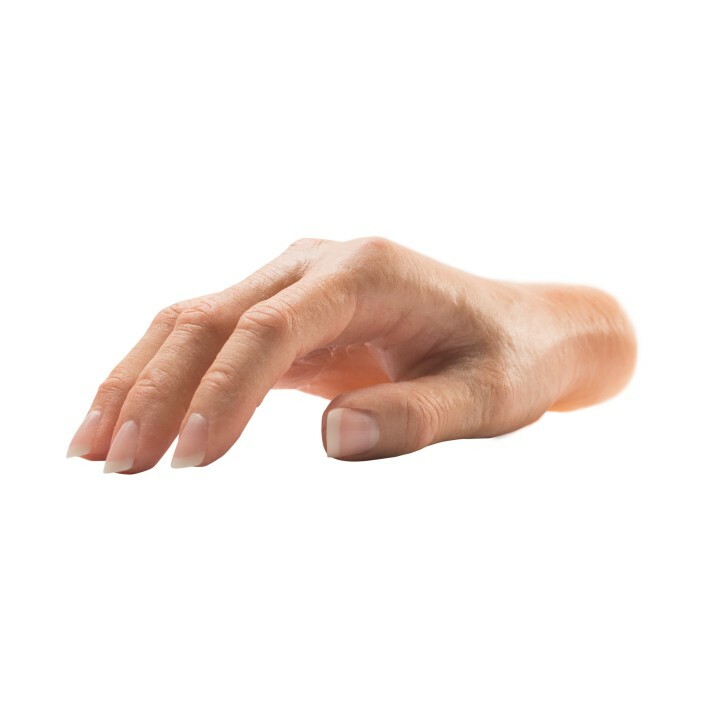 This low profile option provides you with a life-like hand prosthesis, giving you the option to add freckles, hair, and any other unique features that will make you feel more comfortable and confident. The perfect mix of creativity and art, our products are handcrafted by highly trained technicians to provide you with the most natural prosthesis possible. For partial prostheses, the Custom silicone prosthesis tapers into your existing limb to create a realistic, natural looking prosthesis. Don’t worry about unnatural lines or raised skin—the silicone blends for a natural look. Wires within the fingers of your prosthesis will allow you to hold objects by positioning your fingers. 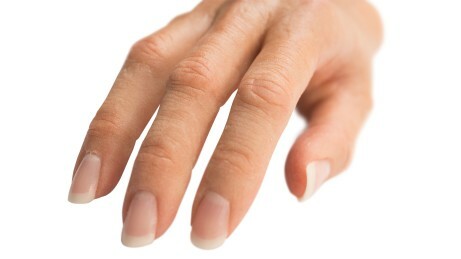 Nail polish can be applied to the acrylic nails. Use non-acetone polish remover to start fresh! Review more of the details about the ordering and fabrication process for these unique products. How do I order a Custom silicone prosthesis? Is there a trial device to ensure fit? Yes, to ensure the desired outcome is achieved, a trial device is fabricated and worn by you for a period of two weeks on a daily basis. Any necessary changes will be made during this phase to ensure that the needs and expectations of you and your prosthetist are met. The final product is then crafted. For daily cleaning, the prosthesis can be cleaned with mild soap and water. For getting rid of insistent dirt you can occasionally boil the silicone prosthesis in water with a drop of mild soap for 10-15 minutes. For further details, please refer to page 18 in the Care and Cleaning Instructions brochure found in the Downloads tab. Will the prosthesis match skin color exactly? Every attempt is made to match your skin color as closely as possible. However, it is very helpful to understand that human skin is ever changing. It is greatly influenced by environmental effects such as sunlight. Skin tone naturally changes when you’re nervous or excited. The silicone material used is not living; therefore, it will not change with natural skin color fluctuations. How long will the hand/finger prosthesis last? Ottobock silicone has a very specific structure that makes our silicone very durable. The lifetime of the prosthesis will vary greatly depending on your activity level. The pigment color is intrinsic, so you don’t have to worry about color fading or wearing off. They are all under warranty for one year under normal usage against manufacturer defects. How do I pay for a Custom silicone prosthesis? To learn more about costs and coverage, please view to our Financial Coverage page.